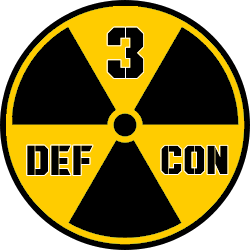 Defcon Level Warning System current news and alerts. If you have any news stories or alerts to suggest, please comment in the comment section at the bottom of the news page and it will be considered. You may also discuss current news and alerts in the comments section below. Two Indian jets have been shot down by Pakistan and one of the Indian pilots arrested in Pakistan. Escalation in hostilities between India and Pakistan continue to rise in response to each sides retaliation, which started when a terrorist origanization within Pakistan bombed and killed 40 Indian troops in Kashmir. India has carried out an airstrike in Balakot, Pakistan in response to a recent terrorist bombing from Pakistan. At least 350 terrorists were present in the Balakot base that was hit but no casualties have yet been reported. Pakistan warns of retaliation for violating their airspace, vowing to respond to the strikes. Israel has responded to Iran firing 20 rockets at Israeli targets in the Golan Heights by deploying fighter jets and using missiles to take out a number of Iranian targets in Syria including military installations, ammunition warehouses, intelligence operations and other targets. This is the largets air operation Israel has orchestrated in Syria since the 1973 war and has brought the two countries dangerously close to another war. Israel has said: "The IDF will not allow the Iranian threat to establish itself in Syria. The Syrian regime will be held accountable for everything happening in its territory,” the press release read. “The IDF is prepared for a wide variety of scenarios." Although Russia and Syria both say that 71 cruise missiles were intercepted with Russian made Syrian air defenses the US and France maintain that although they fired over 100 cruise missiles into the country, none of their missiles were in fact intercepted. Hundreds of Russian's were reportedly killed in the latest strikes on Syria. The Russian's killed are said to be mercenaries working with the Syrian government. "A pre-designed scenario is being implemented. Again, we are being threatened. We warned that such actions will not be left without consequences. All responsibility for them rests with Washington, London and Paris." President Trump has ordered sustained precision cruise missile strikes on Syria until Assad stops using chemical weapons on his own people. President Trump says he does not seek an indefinite military presence in Syria however. Locations that have been hit so far are aircraft hangers, air defense systems, radar and ammunition bunkers. The combined forces of the United States, France and the United Kingdom are involved in this operation. It is currently unknown as to whether Russia will fulfill its promise to retaliate against any missile strikes against Syria but the cruise missiles fired were flown below Russia's radar detection to successfully reach their targets. This cruise missile attack was reportedly a one time attack until/unless Assad uses chemical weapons again on his own people. US officials have taken blood and urine analysis on those affected by the chemical attack in Syria and determined that not only was Chlorine present in the samples, but a nerve agent as well. US officials are fairly certain that both Chlorine and at least one nerve agent was used in the recent chemical attack, and that it was indeed carried out by the Syrian government. The Syrian regime has been known to carry out chemical attacks on their own people, as well as mixing chlorine with nerve agents such as sarin and dropping them on cities that they are about to take back in their last push to take the city back. This is consistent with the latest chemical attack on Douma, which shortly after the chemical attack was successfully taken over by Syrian forces. President Donald Trump has stated that he never said when an attack would take place just one day after issuing a serious warning to Syria and promising Russia that missiles from the U.S will be headed toward Syria in response to the latest chemical attack on the Syrian people by Assad. US President Trump has issued a stern warning to Russia against retaliating to any U.S. missile strike on Syria in response to the recent Syrian chemical attacks by Assad after Russia stated that they would not only shoot down any missiles targeted at Syria, but also completely take out the launch sites. Trump has stated that "Nothing is off the table" regarding a strike on Syria for using chemical weapons. Russia has found a way to scramble drone signals from US drones and is actively jamming US drones in Syria. The Russian jamming has seriously hindered US operations in the region. Russia began by jamming smaller drones a few weeks back but have now begun blocking the GPS signals from other US drones operating in the region where the suspected Syrian chemical attacks took place. Pan-European air traffic control agency Eurocontrol has issued a warning to airlines traveling the eastern Mediterranean to be cautious in light of the possible air strikes into Syria within the next 72 hours. Russia pushes for further investigation into the attack of the city of Douma, Syria. International chemical weapons experts investigate the area while the United States and the west deliberate on action against Syria for the use of internationally banned chemical weapons on its own people. President Trump has stated that there will be a forceful response to the recent chemical attack in Syria and that a response will be decided shortly. Due to the fact that the area where the chemical attack took place was immediately closed off it is impossible to know exactly how many died but numbers are in the dozens. At least 14 people were killed in a missile strike on an air base in Syria just days after a chemical attack by the Syrian government killed scores of their own people. Initially Syria blamed the United States for the airstrike, but the US has denied involvement in the attack. The location of the airstrike was the Tiyas air base, also known as T4, not far from the the city of Homs. Israel has attacked locations within Syria in the past, but they have not commented on whether or not they were involved in this particular airstrike. More than 80 men, women and children are dead after a chemical poison gas attack in Khan Sheikhoun located in north western Syria after war planes flew in and dropped a bomb that created a yellow mushroom cloud after it exploded. Over 500 Syrians were hospitalized with symptoms of nerve gas exposure. China has retaliated against the United States plan for tariffs on China with 50 billion dollar of its own tariffs on US products such as soybeans, cars, chemicals and other American products, causing fears that an all out trade war between the two countries could be escalating. Russia has tested a liquid fueled nuclear missile named 'Satan 2' which Putin says could reach anywhere in the world by passing over the North or South poles, bragging of 'invulnerable' nuclear arsenal. Putin claims that "No defense systems will be able to withstand it". The missile weighs over 220 tons and has a range that is higher than its predecessor the 'satan' nuclear missile and carries more powerful nuclear warheads. After findings determined that China is involved with stealing and transferring intellectual property from US businesses, President Trump is set to enforce tariffs, sanctions and other measures against China after years of talks have produced no change. The White House is considering enforcing between 30 to 60 billion dollars in tariffs and other measures that would put restrictions on Chinese investment. Britain expels 23 Russian diplomats in response to Russia's failure to explain how Russian nerve agent poisoned an English ex-spy and his daughter in the city of Salisbury. 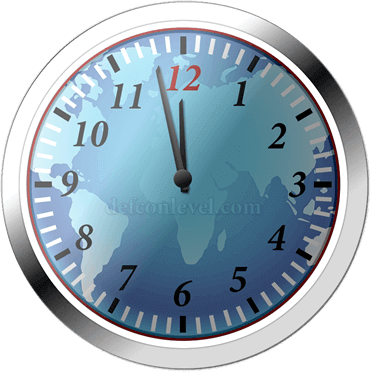 The Bulletin of the Atomic Scientists has moved the doomsday clock hand from 2 and a half minutes to midnight to two minutes to midnight due to a growing number of nuclear threats and climate change. This is the first time since 1953 that the doomsday clock has been set this close to midnight. Protests that broke out in Iran has left 21 people dead and 450 arrested. Protests began in response to President Hassan Rouhani's leak of a government budget proposal that would make budget cuts to subsidies to the poor and raising gas prices to alleviate debt.